Courtesy of Homesmart Connect LLC. Stunning 4 plus bedroom plus home adjacent to open space and pond. Nature abounds here! Just about 3600 square feet on the upper levels and yet a walkout basement with finished 3rd full bath and additional spaces ready for finishing touches. Gourmet kitchen perfect for the finest chef with 48 cabinets, double ovens, built in corner cabinets, walk-in-pantry, garden window over sink and French doors to deck. Upper bath features step in whirlpool safety bath with visual therapy, air/water jets and heater. However, seller willing to give $5,000 credit to have this tub replaced if desired. Complete list of upgrades attached under additional information. Don’t miss out on this beautiful home with huge room and closet sizes. Milburn and Lake schools and walk to Millennium Park! Close to shopping, restaurants and entertainment. Please, send me more information on this property: MLS# 10255363 – $335,000 – 275 Cross Creek Lane, Lindenhurst, IL 60046. 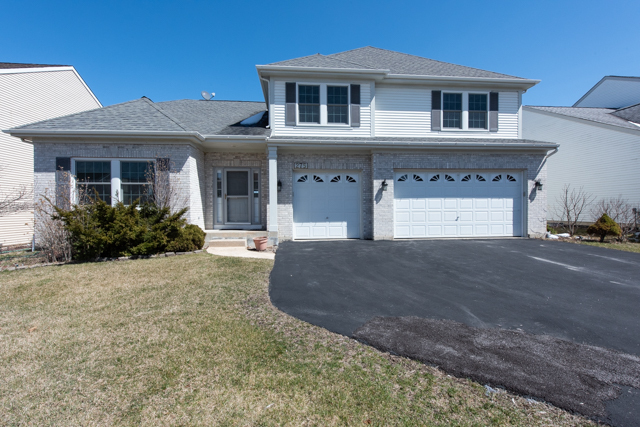 I would like to schedule a private showing for this property: MLS# 10255363 – $335,000 – 275 Cross Creek Lane, Lindenhurst, IL 60046.